The Predator Orion 9000 will be India’s ﬁrst gaming computer to feature intel’s Core i9 Extreme processor and Optane Memory. This gaming PC will sport the new i9 Extreme Edition 18 Core processor, making it hyper fast and will also get up to 128GB quad channel DDR4 memory. But since its the graphic card that is usually a deal maker/breaker for gamers, the Acer Predator Orion 9000 gets two Nvidia SLI VR ready GeForce GTX 1080 Ti graphics card. Along with the dual graphic cars, this rig also houses Intel Optane memory with a 2 TB hard disk. The predator is also well equipped in terms of connectivity. The general set up features two USB 3.1 (second generation) ports with layout of one Type C and another Type A. There are eight USB 3.1 ﬁrst generation ports with the layout of one Type c and seven Type A, two USB 2.0 Type A ports. And that is the stuff you will probably grow old using. But since this computer is the second name of overkill, there are three M.2 slots, four PCIe X16 slots for video cards. Apart from that, Acer gives its consumers an option to add six drives to boost up that memory. They suggest the four 2.5” SSDs and two 3.5” HDDs conﬁguration. 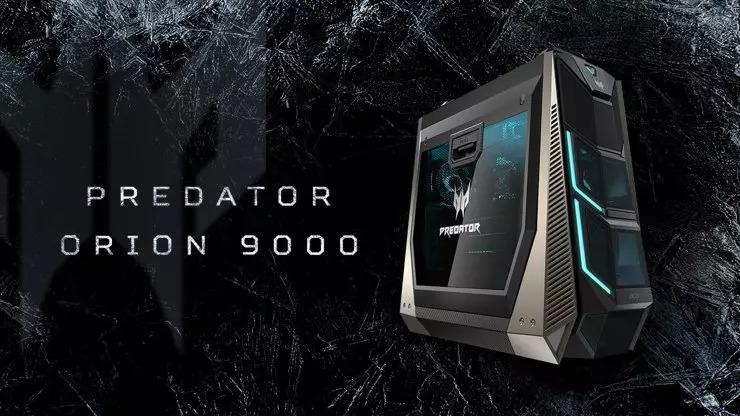 Talking about the build of the rig in general, the Acer Predator Orion 9000 is built “Monolithic yet malleable.” The liftable top metal mesh, removable side panels give you the ease to custom mod your gaming set up’s look and feel. Bearing in mind, the kind of hardware Acer has put into the whole set up, they have used ﬁve 120 mm fans, to keep this monster cool when its running. Adding to the effort of cooling the system is the Cooler Master® liquid cooling with 2.0 Ice Tunnel technology. The sound department features 720 degree Sound Blaster Pro Gaming sound. And when you want to move around this thing, there are in built wheels at the back, allowing you to lug this rig, like you were to move around a strolley. 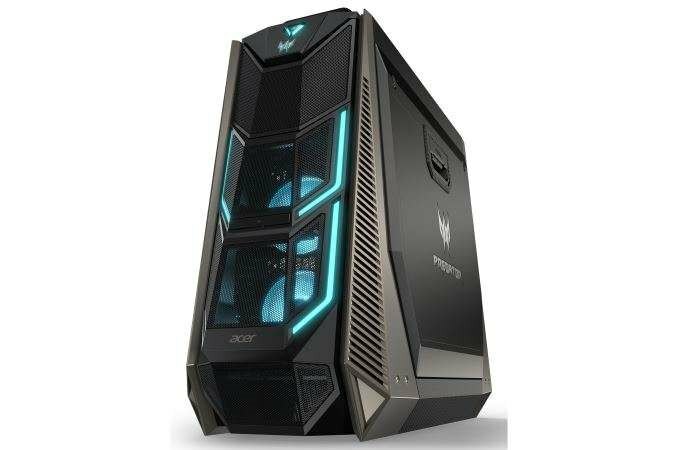 Acer has launched this gaming PC at a price of INR 3,19,999/- excluding taxes and will be available at select Acer dealerships and Croma Stores pan India from Wednesday, March 21st, 2018. In real world time line though, we see this product hitting the shelf space in April. There are Preview models at big Acer dealerships though. Since online gaming is attracting such crowds and monies, its only beﬁtting to invest in something that levels the playground and gives you a chance to pick up some of that much sought, street cred.